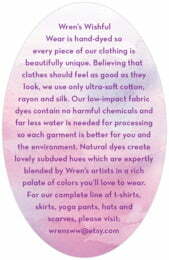 Watercolor Wash is a soft and layered design. Five different colors (coral, radiant orchid, cobalt, turquoise, and charcoal) blend watercolor shades of themselves to create a uniquely beautiful style. Perfect for your creative inspirations and gift products. 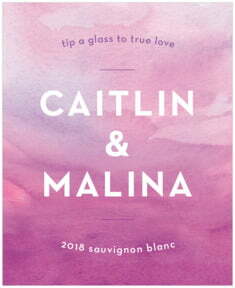 Customize your Watercolor Wash party wine labels to add a unique, stylish touch to your event! 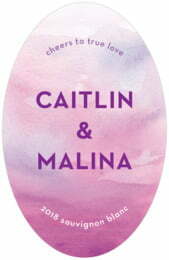 Watercolor Wash party wine labels come in your choice of coated paper, or waterproof vinyl stock. We also offer a back text label that allows you to share information about the wine or winery or any special text you would like to add. If you are serving your homemade wine, Pinot Noir, Chardonnay, Sauvignon, a dessert wine, or other, create a professional look for your wine that is also personalized for your special party. 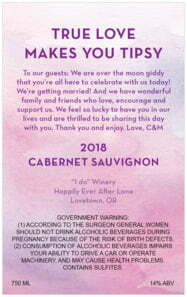 Use these party wine labels for birthdays (especially the 21st), weddings, graduations, baby's arrival, Mother or Father's day, Christmas, New Years, or for other important celebrations. Enjoy your fame and enjoy your party! 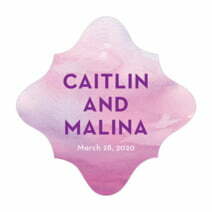 Select a Watercolor Wash party wine label shape above to get started.